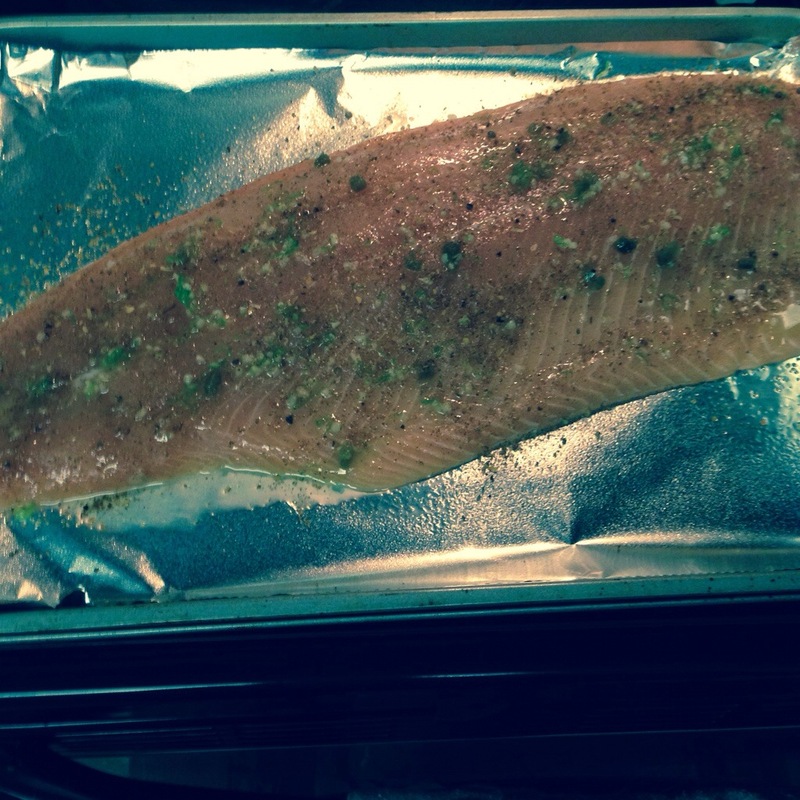 I LOVE Salmon and found this recipe on Pinterest and gave it a whirl last night. The finished product = Delicious! 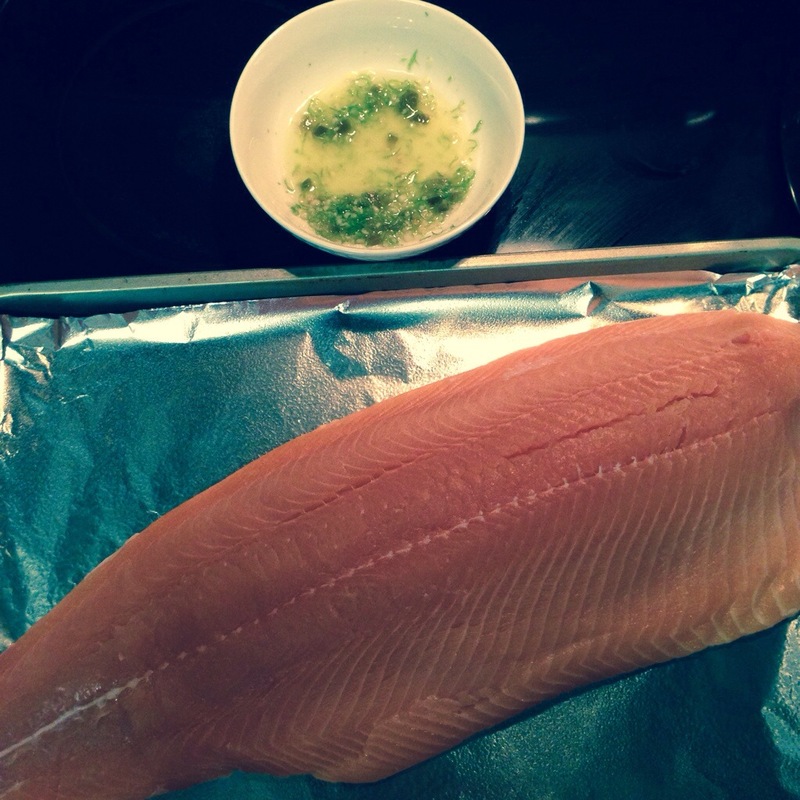 Preheat the oven to 400 degrees F. Line a large rimmed baking sheet with parchment paper and lay the salmon fillet on it. Pat dry with a paper towel. 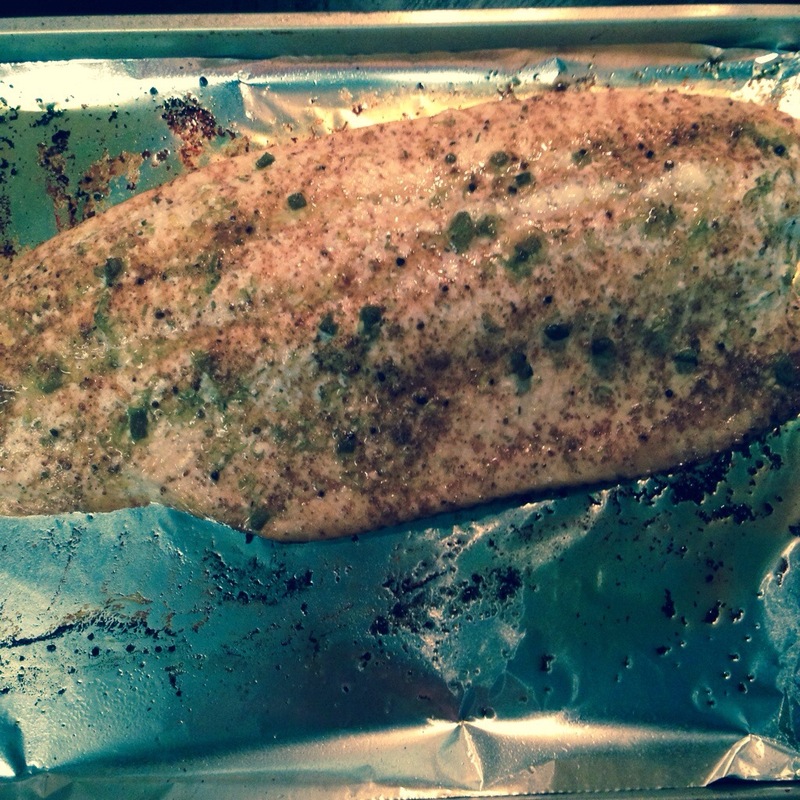 Mods: I used Salmon Seasoning in lieu of salt and pepper. Also, I failed to buy Parchment paper, so I just used aluminum foil. Verdict: I would definitely make this again! I’m going to have to try this. I LOVE salmon.